A nervous knot tightened in the pit of my stomach as I seated myself outside the interview room. I was early; the place seemed deserted, and I wondered for one panicked second if I was in the wrong building. The interview looming before me seemed unconquerable, like a wall too high for me to climb. As a greenhorn Millennial with only two years of experience, I doubted that any employer would give me a chance. It felt like freshman year all over again. That thought made me smile. College was a formative time for me, in the most positive way. And the great thing about freshman year is that things can only go up from there. I reminded myself of this as I heard voices and approaching footsteps. It’s not all about the skills and experience, I told myself, it’s about the mission. Could I get behind University of Baltimore’s mission of caring for alumni? I took a deep breath, squared my shoulders, and whispered a prayer. The Fort Wayne campus is where I learned to love alumni. I conducted a Professional Writing practicum at the Fort Wayne Alumni Center during my senior year at Taylor University, and the experience changed me. Director Michael Mortensen g91 was my very first supervisor, who trusted me enough to let me take responsibility, throwing me creative curveballs that, with his help, turned into meaningful written pieces. 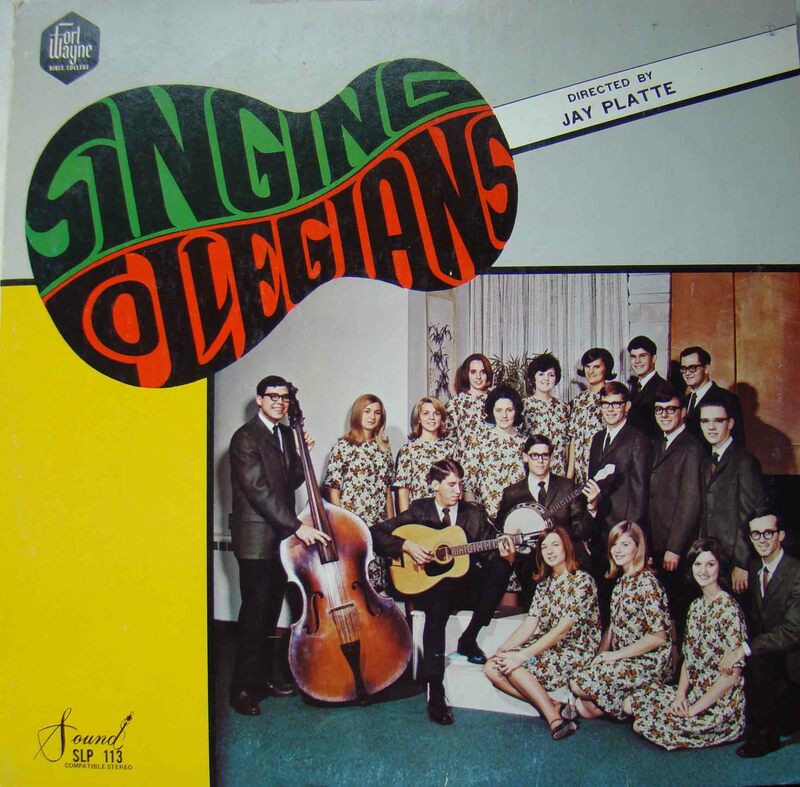 Dr. Jay Platte g69 sized me up the way musical geniuses tend to do, but was willing to let me into his memories, playing audio clips and displaying photos from his student days at Fort Wayne. And Bill and Joyce Gerig g61 made the Alumni Center a home away from home, with genuine hospitality that I have rarely found anywhere else. Michael Mortensen g91 hands volunteer Kathryn Fenstermacher g13 the first issue of the FW Vine, which she wrote most of the articles. But the alumni—those alumni amazed me. I used to read over my notes from an interview and marvel at the true stories of God working through alumni in profound ways. From ethically based business owners to overseas missionaries, each alum had a unique and beautiful story of God’s guidance and Kingdom impact. I was challenged. I was inspired. I was blessed. This taste of serving alumni stayed in my mouth through graduation and two years of working in a government office. 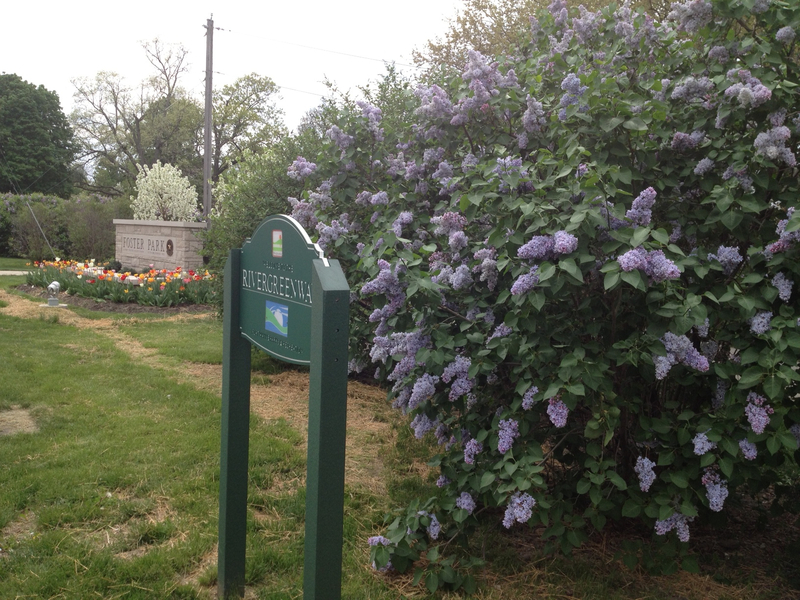 When my husband and I took the plunge of relocating to Baltimore this summer, I felt a yearning to get back into the college environment. I wanted to hear from alumni again, to listen and to be amazed. In the middle of a very long job search, I learned about a vacancy at the Office of Alumni Relations at the University of Baltimore. That was May 30. Applications were due June 1. Life has taught me that the word “coincidence” needs to be redefined. Rather than “luck” or “chance,” it should mean “an open door” or, in my experience, “Providence smacking you upside the head.” If God had not given me the opportunity to intern at the Alumni Center, right now I might be in a very different place. My experience with the Alumni Center was one of the building blocks God laid as part of the foundation for where I am now and for where I will be in the future. I’m just getting started here, and I can’t anticipate how long I will stay. But I know that Fort Wayne is where God started my passion for alumni, and I can say in His own inspired words, “And I am sure of this, that he who began a good work in you will bring it to completion at the day of Jesus Christ” (Phil. 1:6, ESV). 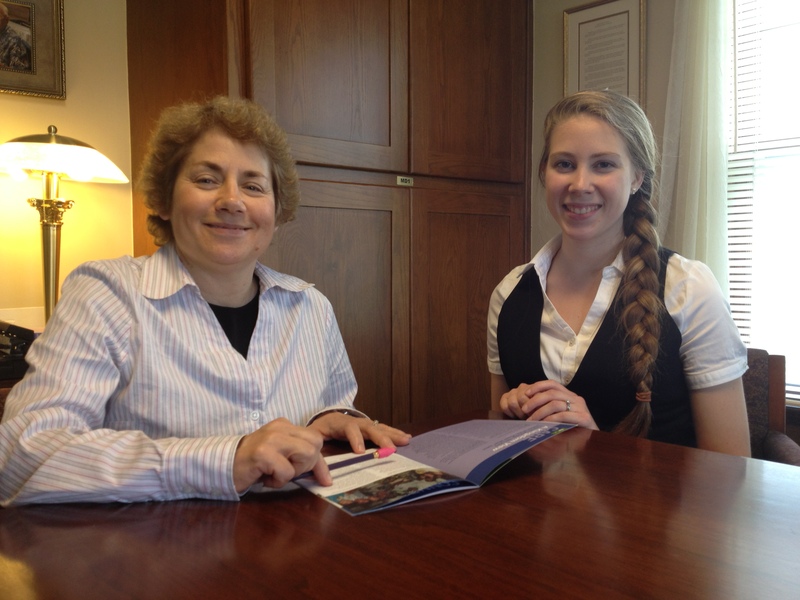 Kathryn Fenstermacher g13 volunteered with the Alumni Center in 2013 as a Professional Writing intern. She currently resides in Baltimore with her husband, Scott g13, where she works as the Alumni Relations Assistant with the Office of Alumni Relations at the University of Baltimore. Idyllic (excellent a nd delightful in all respects). That is my thought as I sit at the kitchen table in the Alumni Center, peering out at the backyard. That ramp right in front, the one creating those lovely leading lines, I watched Joe Sheil and John Motter g67 fix that on my first day. Of all the weeks to start my internship at the Alumni Center, none could have been better than Staycation. I got the chance to meet and speak to the volunteers, including Elaine (Voss) g61 and Joe Sheil. 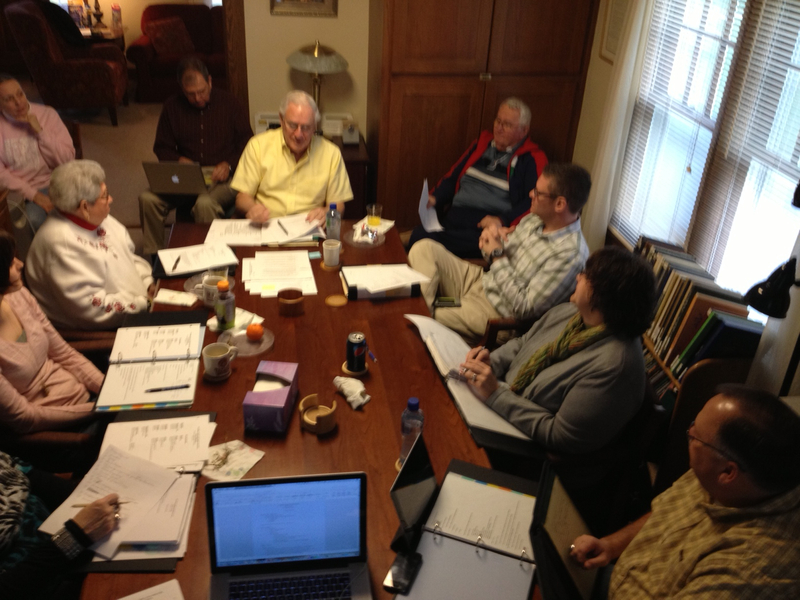 They’ve been volunteering a week of their time to the Alumni Center for several years. Getting to speak to the Sheils gave me an insight that I otherwise would have missed. As a teacher, Joe has belonged to a dozen or so schools. He never attended or worked at Fort Wayne Bible College, but he feels a connection to the people and mission of the school represented by the Alumni Center. You’ll probably see me use the above quote a couple of times. It just captures what I felt during my first days here so well. I would walk into the Center and feel God here in a way I wish I felt Him everywhere. I didn’t understand this verse before I started writing this blog post. Yes, I knew it, had even memorized it for AWANA growing up. But I knew it out of context. Usually when I read this verse, I think of hands raising during the worship service as people get caught up in praising their Lord together. In preparing for this post, I read this verse and the surrounding ones. Matthew 18:20 is about more than a temporal feeling that we get while worshiping. It’s about relationships: about the church coming together in action and God affirming those actions. The verses beforehand speak about how whatever we bind/loose on earth will be bound/loosed in heaven. When I spoke to volunteers, they all had the same main reason for giving their time. 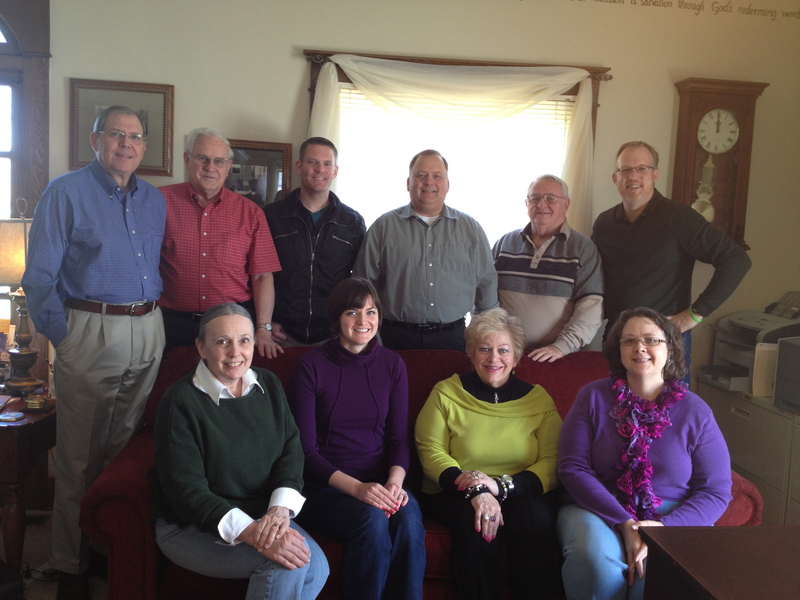 As Eileen (Vorse) Crandal g61 said, “It’s a service to God.” Everything these volunteers do is for the glory of God. And I believe that’s why it’s so easy to see God’s hand at the Alumni Center. I can’t help but think that when people come to give their time to the Center, they are binding everything that the Center stands for. They’re continuing the mission and building relationships here as they give time and interact with each other, all committed to Christ. Even though the backyard is beautiful, it’s really the interactions here that mean the most. Whenever two or more Christians work together on a common cause, we get a tiny piece of what heaven will be like. And that’s what is idyllic about the Alumni Center. 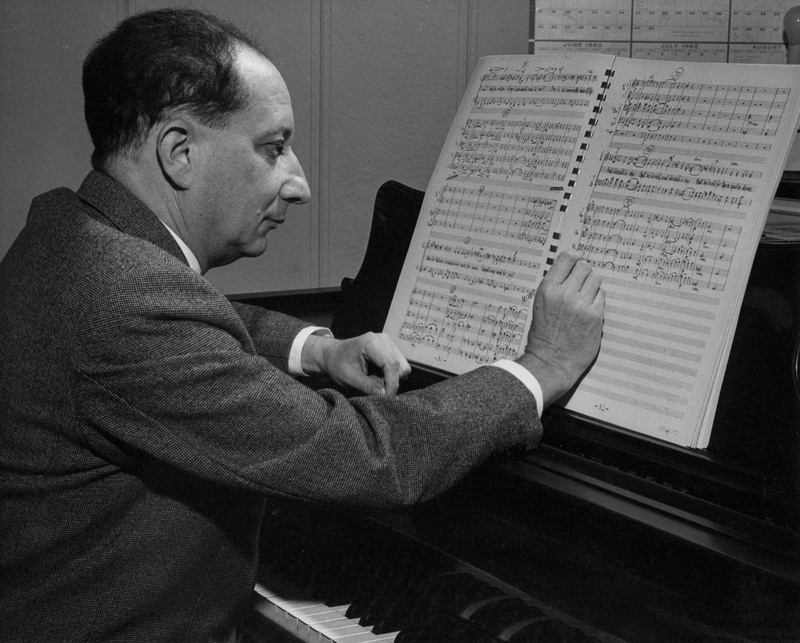 A great deal of what I know about living a fulfilling life, as well as the wonderful world of music, I owe to him. Though an exacting composition professor, and a no-nonsense musical mentor, he loved being a personal confidant and an engaging, caring friend. I, like so many others, was privileged to experience both the genius, as well as the human side of Dr. Frank. Yes, the genius side literally rewrote the last four measures of my choral arrangement of the hymn, Man of Sorrows, What A Name!, an arrangement commissioned for the California choir tour. I had struggled for days, in vain, on those final measures. He did them in three minutes. And, when I asked him if it was wise for me to join YFC musical ministries for a couple of years after graduation, his wise, human side said, “Only if you plan to stay for five years. It will take one year to figure things out, and another year to just get started on what you want to accomplish. That gives you three more years to really do something well. Stay for five years!” He was right. I stayed for fifteen. I can still see Rene and Louise on their evening walk down the north side of Rudisill Boulevard, heading for Foster Park and another opportunity to “smell the roses.” I can feel him sitting beside me in the front passenger’s seat as we drove to Bloomington, Indiana, to hear Wagner’s Die Meistersinger von Nurnberg, as performed by the Indiana University School of Music. I can smell the sukiyaki as Mary and I sat across the kitchen table from Rene and Louise, chopsticks in hand, eating from colorful porcelain bowls they had brought with them from Japan, bowls we still have. These were the precious, invaluable, unforgettable, and eternally shaping moments that provided guidance for a lifetime. Our last encounter occurred in the Lutheran Hospital cardiac unit. Dr. Frank had experienced a heart attack, and was propped up in bed on several pillows. He greeted me, as usual, with a big smile on his face. I think he knew the end was near. His greatest concern was for Louise. We chatted and prayed together. And, I left his room wondering if we would ever meet again on this earth. But, in my heart, I was praising the Lord, as I still do, for crossing my path with a very human genius, one of the most “significant others” I have ever known. As I pulled a chair up to the table in the Eicher Conference Room in the Fort Wayne Alumni & Friends Resource Center, it felt like business as usual. Michael sat across from me, reviewing a project I had sent him and offering suggestions for improving it. I edited an article as we waited for the other staff and volunteers to arrive. But when a special guest, former TUFW professor Dr. Pam Jordan-Long, arrived, and I remembered that this day was different. This was my last day at the Resource Center. Dr. Jordan-Long is my professional writing advisor. To wrap up my practicum, she conducted a site visit to ensure I met all the requirements to pass the course. As we led her on a tour of the Resource Center, it felt like my first day all over again. Except this time, I knew the deeper stories behind each room, book, and knickknack in the house. I knew our vision to care, connect, and celebrate. There is so much to say about my experience with the Fort Wayne Alumni & Friends Resource Center that I could write a blog post every day for the next six weeks and still not do it justice. I learned about writing: Reaching an audience, having a “you” attitude, honing my voice, versatility. I learned about teamwork: Communicating, receiving criticism well, adapting to other work styles, flexibility. I learned about nonprofit work: Providing resources, partnering with the community, working with a shoestring budget, fundraising. These skills will be invaluable to me as I enter the “real world” in just a few weeks. But the most rewarding lesson I learned, hands down, was to lean in to this community of Fort Wayne campus alumni, listening, learning, and returning the warm embrace you offered from my very first day. The story of the Fort Wayne campus, and the stories of each of your lives, are what turned four credit hours into a life-giving experience. Every hour I invested was invested back into me through the volunteer team, through encouraging feedback from alumni, and through the rich memories you shared with me. I have come to realize that any type of writing—from news to novels—is all about story. And story is all about people. This semester, you allowed me to live part of the Fort Wayne story, and that story has become a part of me that I will take with me wherever I go. I pray that my writing brought back memories of people, places, and events so familiar to you, yet so new to me. I pray my words brought healing, not pain. And I pray that every page I wrote contains a thought, a sentence, even just a word, that meant something to you and drew you closer to God. Have you ever thought about the process that went into designing your favorite t-shirt? It’s a basic question for graphic designers; but for people like me with little to no experience in the fine art of design, it never occurs. Until last week, that is. As part of a design class I’m taking this semester, I’ve been assigned to create a t-shirt design. I have decided to create a design for the Fort Wayne Alumni & Friends Resource Center, perhaps one that could be distributed to volunteers. I was delighted with the idea until I found myself sitting in front of a blank screen, waiting for creativity to fall from the sky. So I began looking around frantically for inspiration. 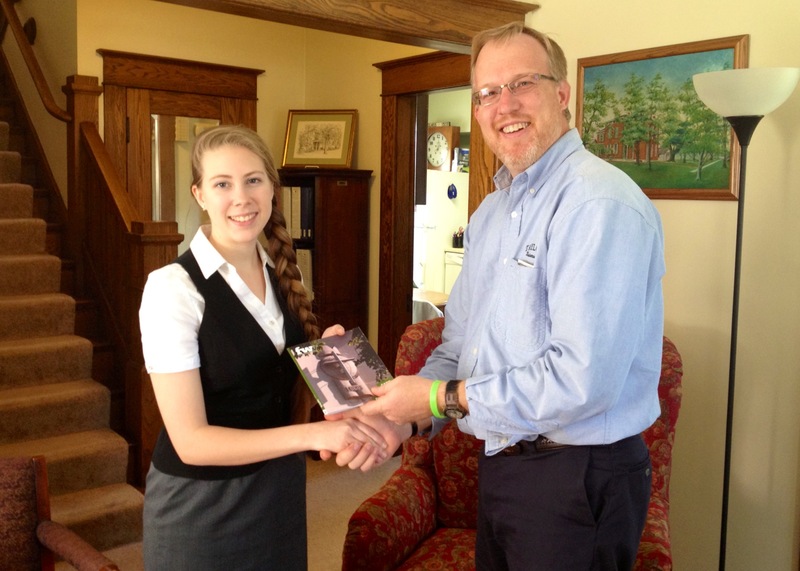 One of the places I looked was the Fort Wayne Alumni & Friends Resource Center’s online store. It was the perfect place to start: It offers a variety of Fort Wayne-themed wearables, from basic t-shirts to cozy hoodies. Whatever year you graduated, your slogan is available. 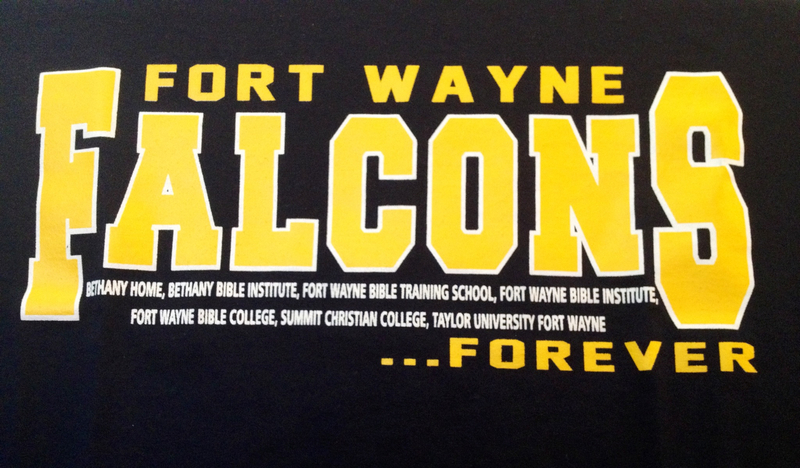 “Falcons Forever” stands out in gold letters on one t-shirt. “Fort Wayne Bible College” in blue stretches across the front of a crewneck sweatshirt. They even have a TUFW baseball cap. Whatever your fashion preferences, these items let you sport your school pride in style. In need of a wearable for our Chick-fil-A Alumni Spirit Night on May 7? The online store is the place for you. My perusal of the online store didn’t stop with the t-shirts, and I quickly forgot my design assignment. In addition to their clothing line, the online store offers a charming set of collectibles shaped like buildings from the Fort Wayne campus. Place a tiny Founders or Schultz Hall on your desk to remind you of your campus days. Placed on a bookshelf, it may even inspire you to rekindle some scholarly habits, like picking up a book and reading. The charming wooden replicas also make great gifts for Fort Wayne alumni-in-laws. Speaking of reading, our store offers paperback copies of five books written and published by Dr. Wes Gerig g51, including signed copies. 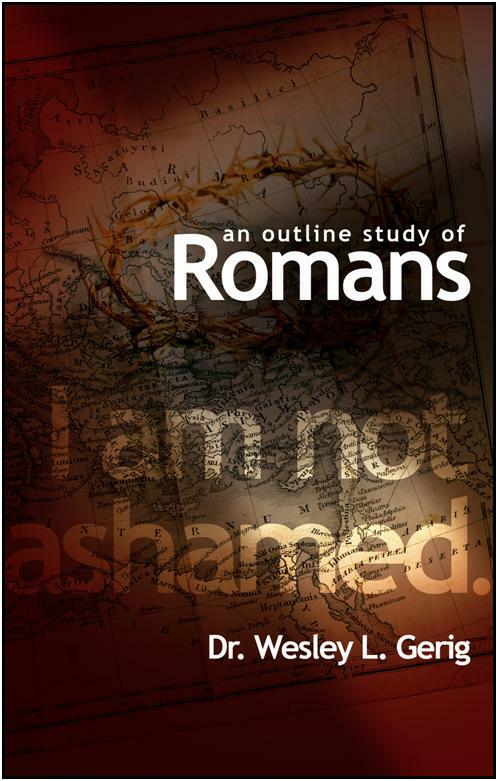 His outline study of Romans is our bestseller so far. We also offer a pocket-sized volume of Jorge O. Masa’s biography of Samuel Morris. Any of the selections would make a great addition to your summer reading list. Gerig’s Lessons from Life for Life from the Old Testament is on mine. Perhaps the most intriguing products we offer are our CD/DVD selections. Campus quartets, Singing Collegians, and Ira Gerig singles are all preserved on CD, the music evoking a time of spiritual significance, according to Archives Coordinator Dr. Jay Platte g69. We also offer several inspirational albums recorded by alumni. One of these isn’t for sale; rather, we send it out to grieving alumni as a sympathy gift. (See our Facebook page to join us in praying about some sad news we received this week.) Our DVDs are equally varied: Familiar faces are captured on promotional films and anniversary montages, and our Fort Wayne Historic Films feature snapshots of the campus’s history since way back in the 1940s. You can find some meaningful memorabilia in the online store. But when you choose to purchase an item, it’s also a meaningful investment in the Resource Center. Profits from our store have been used to purchase equipment that helps us complete projects more efficiently, or to offer more products, like the recently released “Ira Gerig +” album. This year’s sales lagging behind last year’s by about $2,000, and while we’re not overly concerned with the numbers, we want to continue offering products that our alumni find meaningful. We specifically hope to compile more audio recordings and video footage onto CDs and DVDs for alumni to enjoy. Even if you aren’t interested in buying, take a moment and browse our online store. It’s just one more way we care, connect, and celebrate. After exiting the online store, I found that blank page still waiting for me. But my quest for inspiration was not in vain. Inspired by the products available in the online store, I plunged into designing my very first t-shirt. Who knows—in a few months it might be our next bestselling product! What items would you like to see added to our online store? If you were designing a t-shirt for the Fort Wayne Alumni & Friends Resource Center, what would it look like?